because I am pretty sure I would cop a mouthful. myself a much needed kick up the bum, I readjusted my attitude and got on with it. Mid November I took the mares to the local jump club. training a lot easier. So next event all going well I’ll step her back up to her 1.20ms. I also think I am finally starting to click with Celeste (the mare that I ride but don’t own). kind of rider, and she is an example of a horse that I have taken along slowly. brought some caution into what I do. him, that I would be able to do it right away. shoulders up (as my coach yelled at me from across the field). autumn/winter, and bring him back into work as a 4 year old. So watch this space for some serious training in the next few blogs. 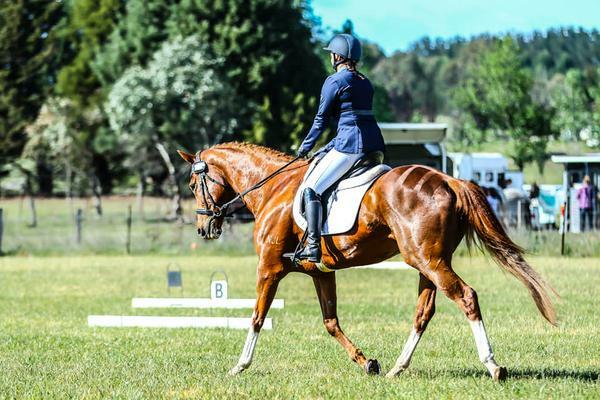 This entry was posted in Fiona De La Mezzo, Lifestyle and tagged Breeches, equestrian, Eventing, Horse Riding, Horses, Show Jumping. Back to the Giant 60cm Eventing after 4 years! !